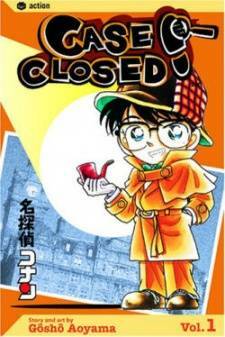 Scenario: Kogoro reads the newspaper and discovers that Yancy, a criminal he convicted, has escaped from prison. 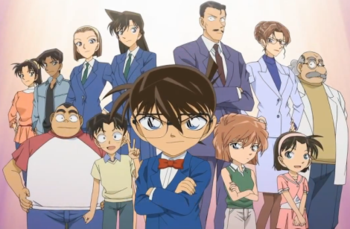 A woman leaving the horse track stumbles and falls into Kogoro, Ran, and Conan. At the hospital, the woman named Mia is diagnosed with amnesia. Conan suspects that a bearded man is trying to kill Mia. He also thinks that Mia is acting strange. Mia regains her memories and recalls that she has a duty to kill Kogoro. Conan realizes that the bearded man is Yancy, who is trying to kill Kogoro. Yancy hired Mia to kill Kogoro. Mia leads Kogoro to an abandoned warehouse and she attempts to strangle him with a wire but Conan manages to stop her. Mia and Yancy are arrested by the police.